So your SEO Campaign is taking a bit longer than you thought it may to reach the top pages in Google Search. Well it’s really no surprise. Gaining the top slots in search engine results pages can take a lot of efforts. If you are focusing your efforts in the wrong area it can be a painful journey. Some of the things you have probably read about like page titles, image title tags and fresh content in abundance without over stuffing your keywords have seemed to begin working for you, however you are in an industry that has very competitive keywords and it’s a tougher climb than you thought. Have you heard of embedded content blogging? Certainly you have gone to one of the many free blogging platforms and started up a blog…right? If you haven’t you best get started and you best get your pencil ready. 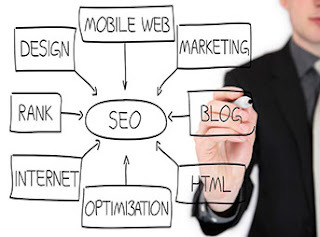 Writing and publishing fresh content in his type of format is going to propel your seo efforts forward. Blogging is a great way to add fresh content, and get your message across to your potential customers effectively. There are many free platforms for starting a blog, We use Blogger which is from Google, no cost and if you already have a Gmail Google webmaster tools or Google analytic account it is right there at your fingertips. You can create fresh content to boost seo add images add videos create backlinks etc. You can also embed content such as slideshows videos etc. And you can do it from more than just Youtube, you can embed from Pintrest, Vimeo and many more sources. This will give you the ability to leverage content that is related to your business and create posts potential customers will want o read and share. Embedding visual content is a crucial storytelling method. Storytelling thrives on bringing experiences to life – adding jaw-dropping visuals to your text makes your story that much more engaging. Embedding your content opens gateways of opportunities and audience reach that wouldn’t be possible through pasted content or visuals. Utilizing services such as thinglink.com allows you to make visually rich content that engages readers. Visual storytelling helps connect, inspire, and engage your brand with your audience better and faster than a simple text. Adding video or interactive media like slideshows to you blog shows your readers and customers that you care and that you are taking the extra time to inform and educate them so they can make an educated purchasing decision. You can Embed content from many sources. Here are just a few. Youtube – Embed video content that you have created or share content others have made that is likely to inform your visitors and readers. Instagram - Keep in mind that when you share or embed one of your Instagram posts, anyone with a link to that post will be able to see it. This means more traffic. Vimeo – Is another great source for information rich content. Make your own or share others. Cincopa – Create slideshows that will impress your readers and encourage them to share your message! These are just a few examples of what you can do to spruce up your articles and blog pieces and maximize your seo efforts. Remember sites or site owners that blog tend to see about a 75% increase in traffic than those that don’t so adding as much rich content to your story as you can will get you to the top and leave your competition in the dust. If you are interested In adding embedded content to your blog or creating content for your website promotion but don’t have the time or the skills contact a company like Results Business Marketing. Marketing companies like R.B.M are experts in content and embedded content marketing.